Created by Rigsby Hull in collaboration with neuroscientist Dr David Eagleman, this project explores one of the biggest questions of our time: How do media shape messages? 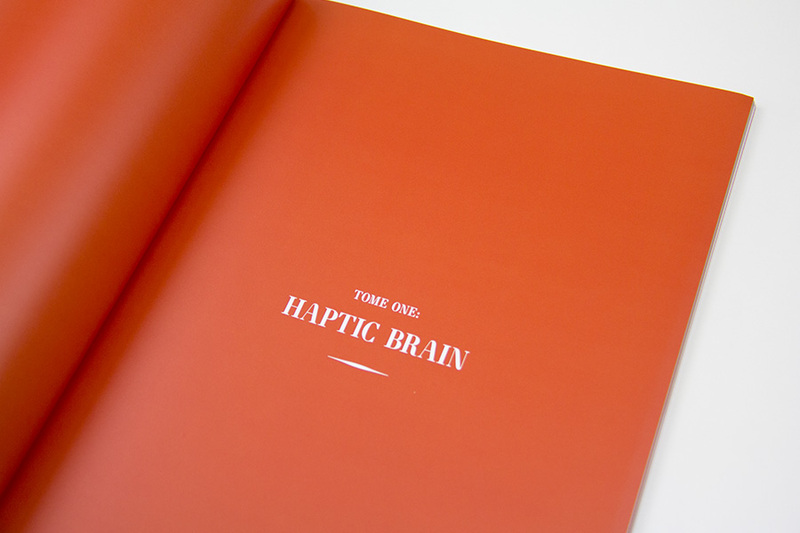 Haptic Brain is an examination of how human brains process information and how touch-sense shapes decision making, both consciously and subconsciously. Dr David Eagleman has authored several best-selling books and a PBS series on the brain; he is the project’s Science Advisor and narrates the explanatory videos. 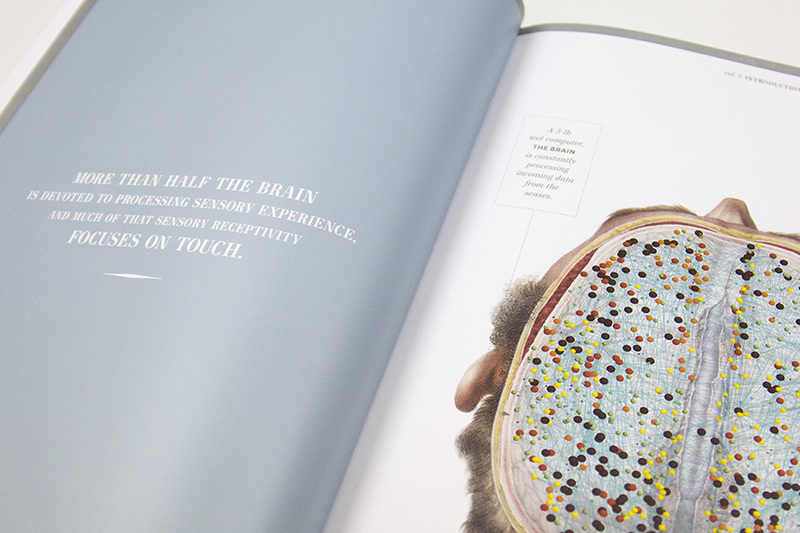 The second inquiry, Haptic Brand, looks at global brands that incorporate tactile media effectively. 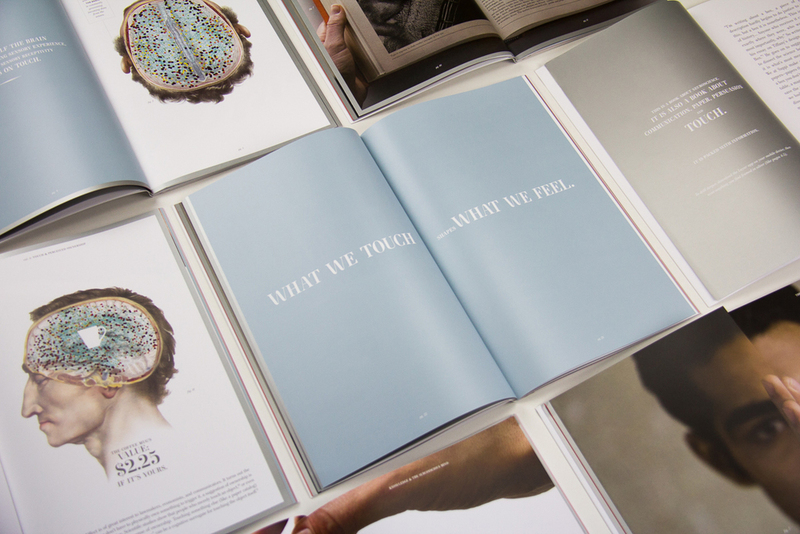 Case studies from Apple, BMW, and World Wildlife Fund highlight branded communications that use ink-on-paper to deliver memorable, emotionally resonant messages to worldwide audiences. Rigsby Hull creative director Lana Rigsby conceived, wrote, and directed the project. 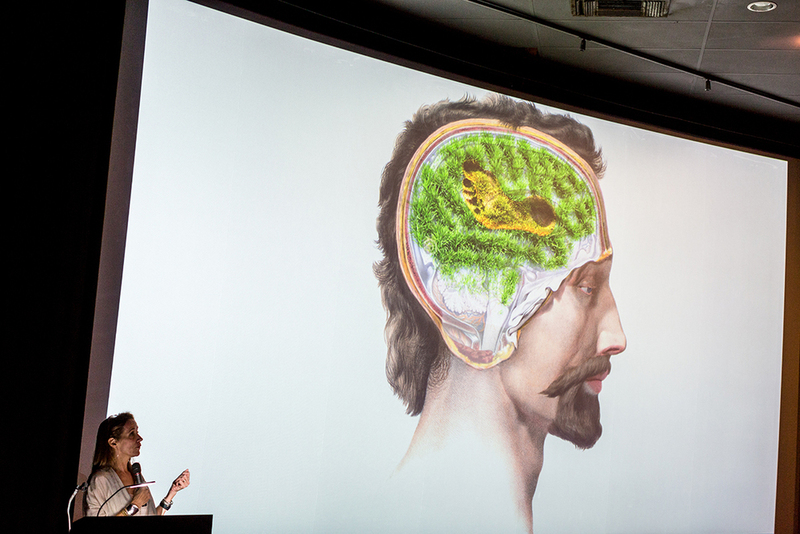 A Communicator’s Guide to the Neuroscience of Touch was presented jointly by Eagleman and Rigsby in a series of live events throughout the US during 2015/2016. The project was underwritten by Sappi, one of the world’s foremost producers of pulp and fine papers. Haptic Brain overviews haptic science and examines two mental processes (decision making and sensory processing) with the aim of explaining the various ways touch influences human brains. An illustrated essay traces haptic neuroscience from early 1950s’ experiments through contemporary studies, exploring how human brains “cross process” sensory input. 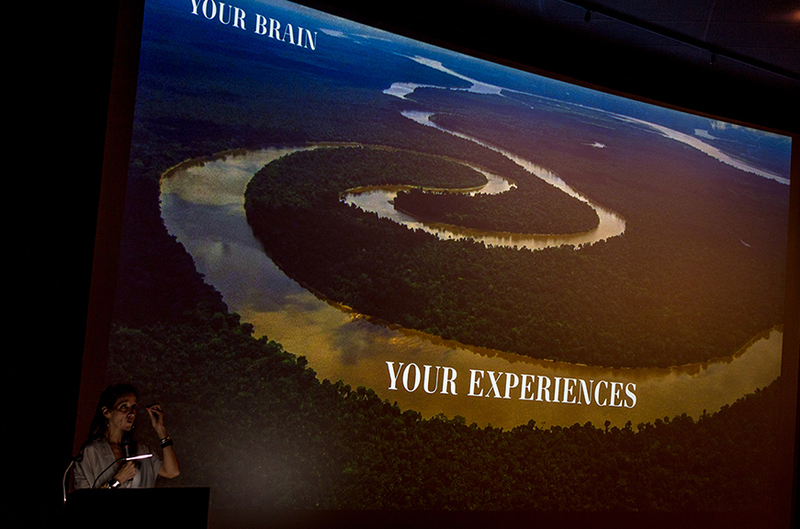 In six short videos, Dr Eagleman details the ideas and experiments underlying the science. Comparing Homer’s bards, stone tablets, papyrus scrolls, paper, and online technologies, this project examines how media color perception of the messages they carry. Eagleman Labs’ own 2015 study goes one step further, comparing online media with both high- and low-quality paper and isolating the effects of media’s tactile qualities on perception and memory. Haptic Brand looks at how some of the world’s best-loved brands use touch to communicate, with case studies from Apple, BMW, and World Wildlife Fund. 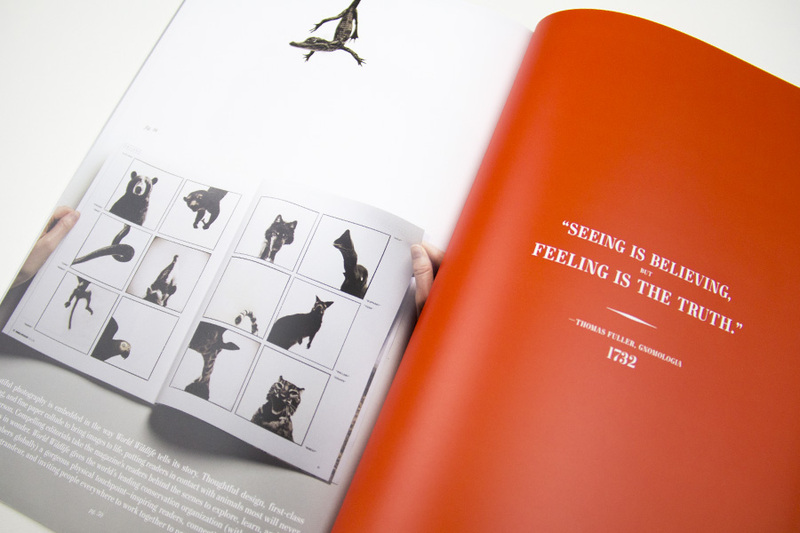 Haptic Brand endeavors to provide communicators with useful guidance in navigating the sea of media options, and deciding when and why print may be the most effective choice. These videos were created for readers who want to explore more deeply the concepts presented in the book. The 3-minute segments begin with Harry Harlow’s infamous 1950s studies with monkeys and ends with Eagleman Labs’ own 2015 study on the cognitive affects of media quality. Neuroscience Shorts were co-written by David Eagleman and Lana Rigsby, and narrated by Dr. Eagleman. A Communicator’s Guide adapts images from the classic Atlas d’Anatomie Humaine et de Chirurgie by Bourgery & Jacob, 1831-1854. This book (The Atlas of Human Anatomy and Surgery), is a magnum opus of eight massive “tomes” comprising the world’s first comprehensive surgical guide. 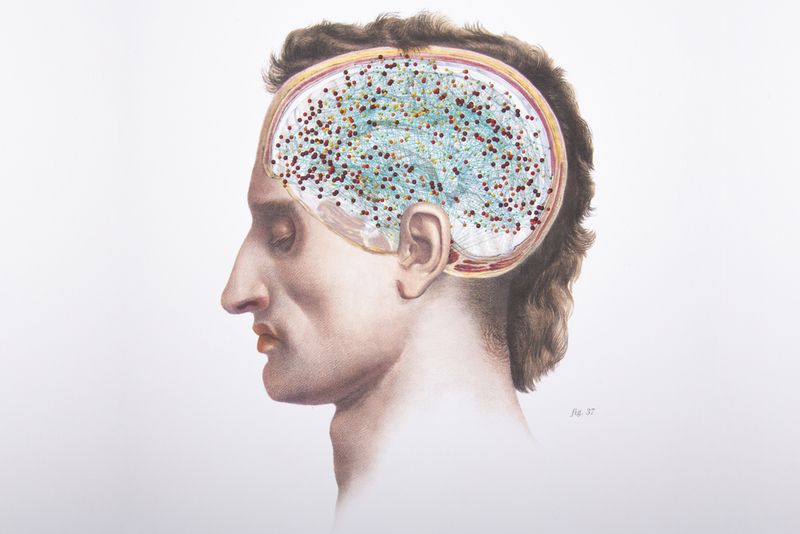 French illustrator Nicolas Jacob created the spectacular hand-colored, life-size lithographs—today considered the most beautiful in all of medical literature. 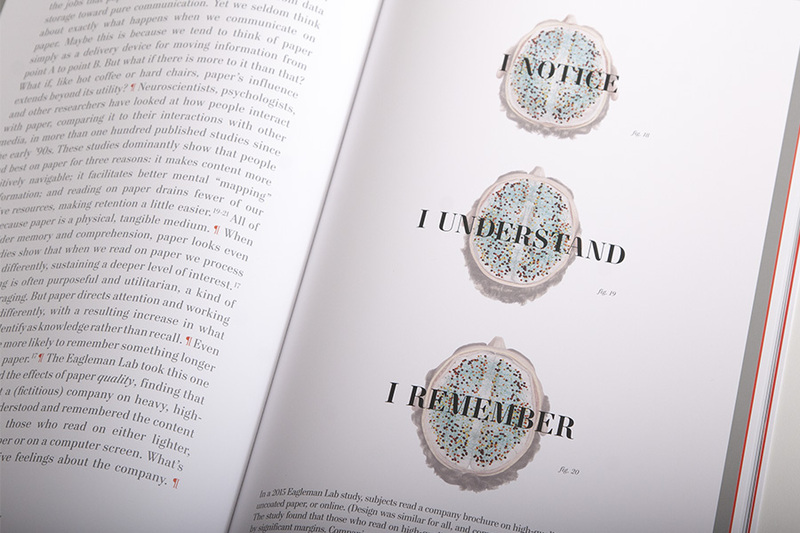 For this project, the brains in Jacobs’ illustrations are replaced with intricately-rendered interconnected neural networks created by Jonathan Hull in 2015. Source: Jacob’s original illustrations in housed the Thomas Fisher Rare Book Library at the University of Toronto. Science Modern, this project’s signature font, was redrawn from Jules Didot’s historic Specimen de la Nouvelle Foundrie, 1842. Historically the Didot family was to publishing arts as the Bach family was to music: four successive generations of artistic geniuses who dominated the field for more than 200 years. Jules’ father, Pierre, established printing presses in the Louvre and created its most celebrated books. His uncle Fermin, along with Giambattista Bodoni, designed and established the “Modern” typeface classification and developed the time-honored font Didot. Ever the innovator, Jules replaced Didot’s sharp edges with rounded ones, creating the lesser-known but equally beautiful font used in Atlas d’Anatomie Humaine et de Chirurgie. James Puckett, Dunwich Type Foundry, redrew it exclusively for this project in 2015. 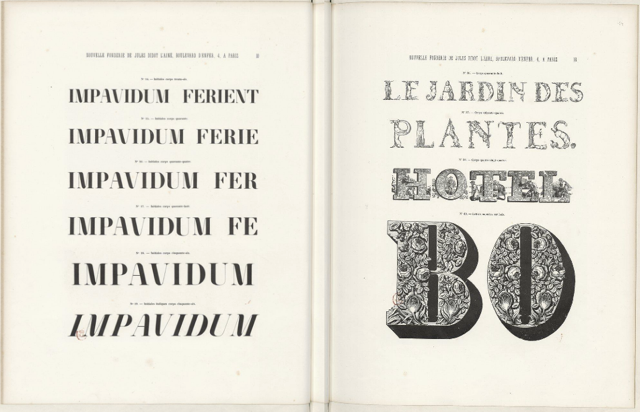 Source: Rigsby Hull located a 1842 original of Jules Didot's Specimen de la Nouvelle Foundrie in the Bibliothèque Nacional de France and, after determining that the font has never been commercialized, commissioned Dunwich Foundry to recut it as faithfully as possible from available images. A Communicator’s Guide was printed on McCoy Silk, a premium coated paper made by Sappi, a foremost producer of pulp and fine paper. 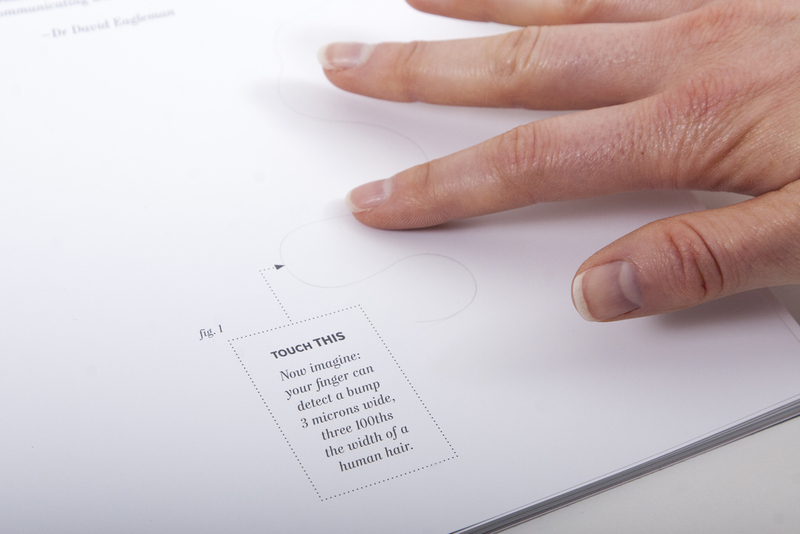 The 64-page book incorporates a variety of specialized print techniques that demonstrate the paper’s performance: One page features a startlingly lifelike human hair dropped onto the page along with an invitation to “Touch this”. 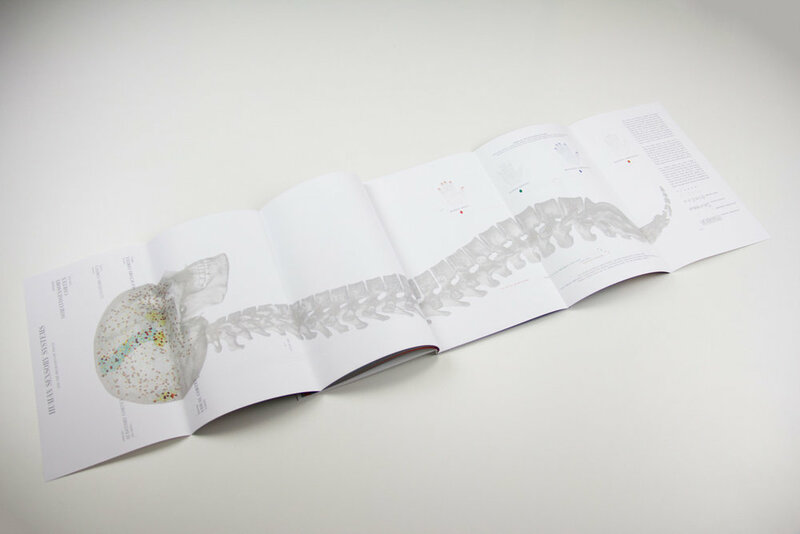 A 48" gatefold opens to reveal a life-size diagram of human sensory systems, from the top of the skull to the base of the spine. 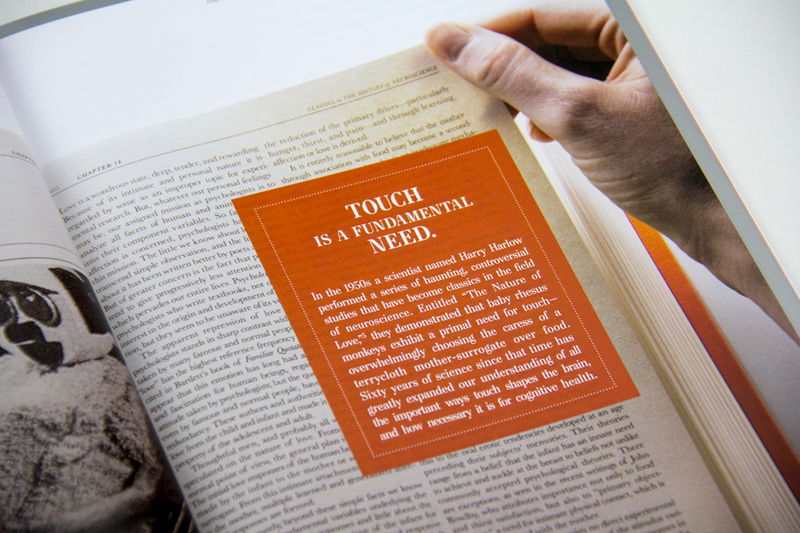 Other pages feature embossing, foil stamping, tactile varnishes and other enhancements that underscore the book’s message and make handling it a rich touch experience.